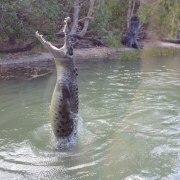 Hartley’s Crocodile Adventures: Marvel at the size and power of big mature male crocs. 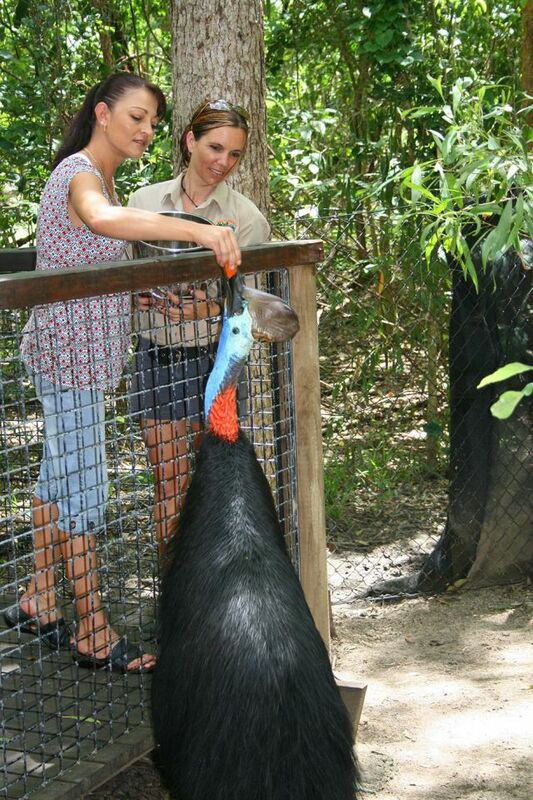 The attraction provides an innovative approach to viewing and interacting with wildlife. 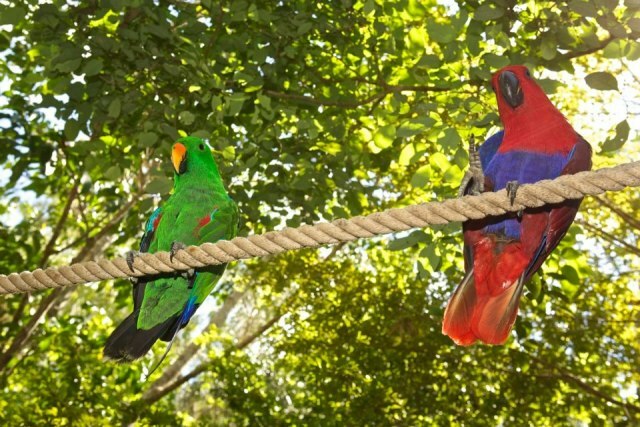 A series of timber boardwalks provide elevated viewing of wildlife as you journey through a range of natural habitats. 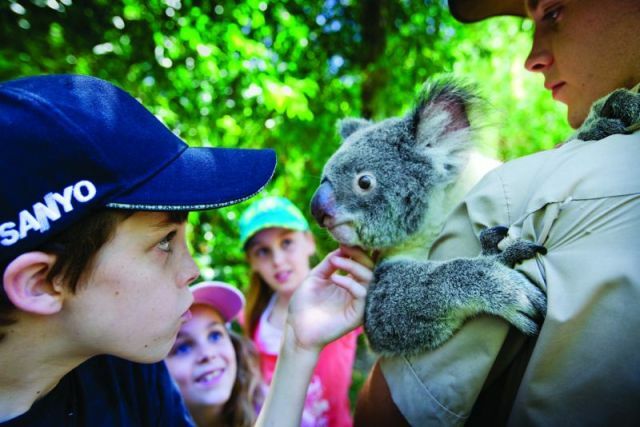 Hartley's is famous for its exciting and educational wildlife presentations including crocodile shows, wetland wildlife, snake show, cassowary feeding, and koala feeding. 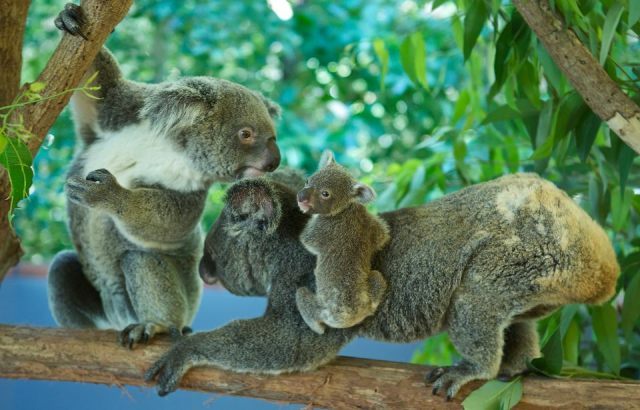 Situated on the magnificent coastal drive between the popular destinations of Palm Cove and Port Douglas, this attraction is an easy self drive option for families. 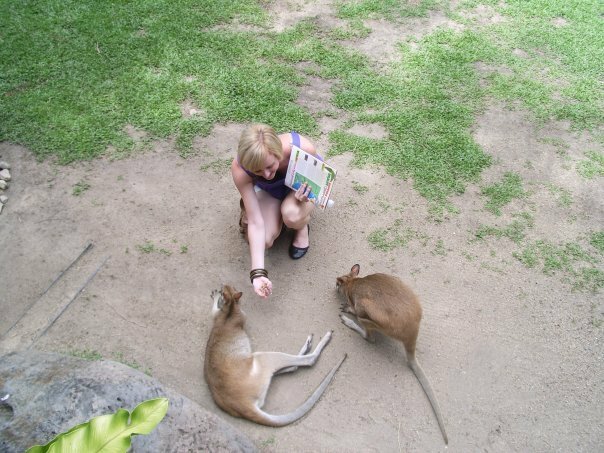 Some activities are presented more than once during the day allowing you the flexibility of a half-day or full-day visit. 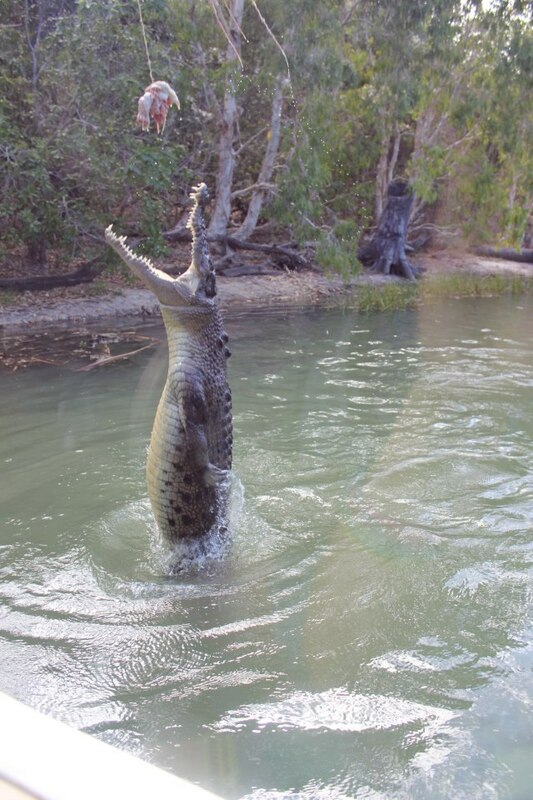 Cruise the still waters of Hartley's Lagoon and experience the domain of the Saltwater Crocodile in its natural habitat. 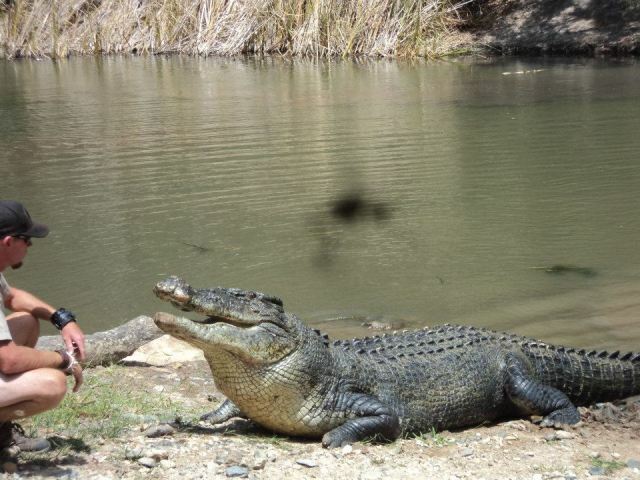 Nowhere else is it possible to obtain such an intimate insight into the biology and behaviour of crocodiles. 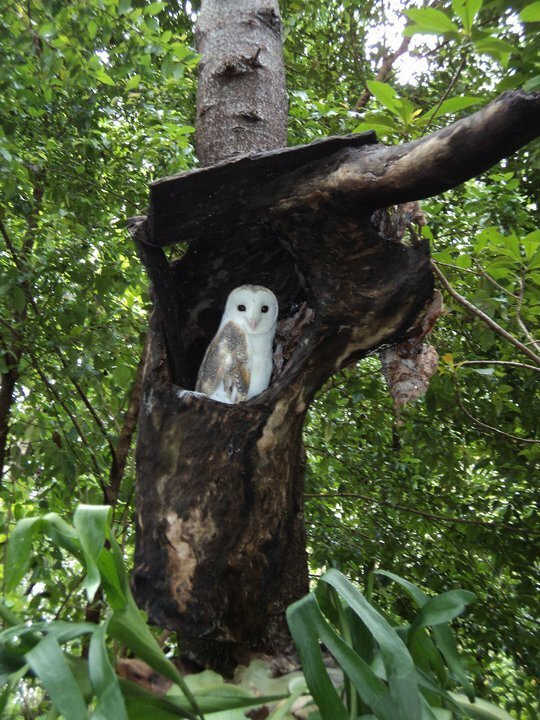 Great opportunity for bird watchers to spot Kingfishers, Egrets etc. 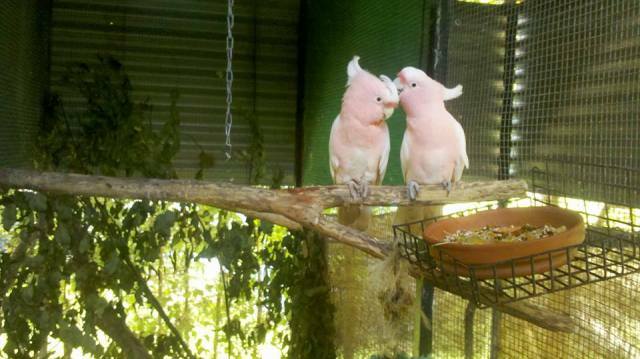 which choose to live around the lagoons. 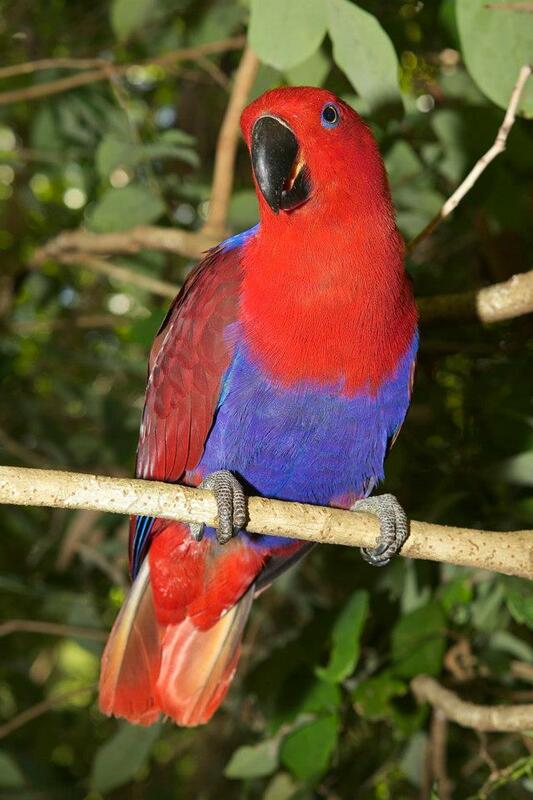 Learn about these magnificent endangered rainforest birds and help our keeper feed them. 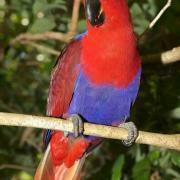 Afterwards, join in a guided walk to our wetlands and feed turtles, fish and water birds. 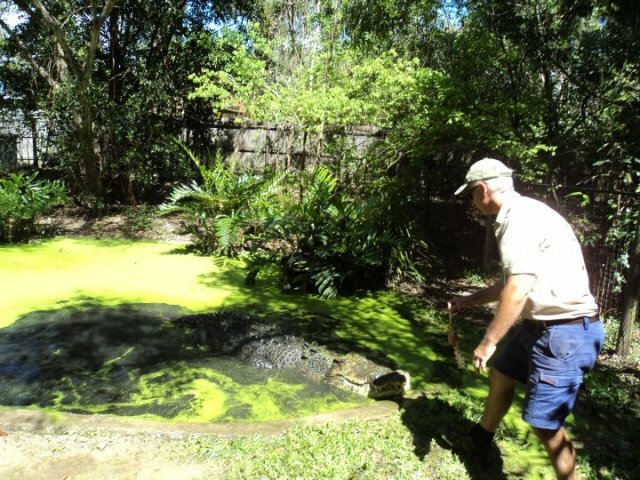 Hartley's have operated a commercial crocodile farm since 1989. 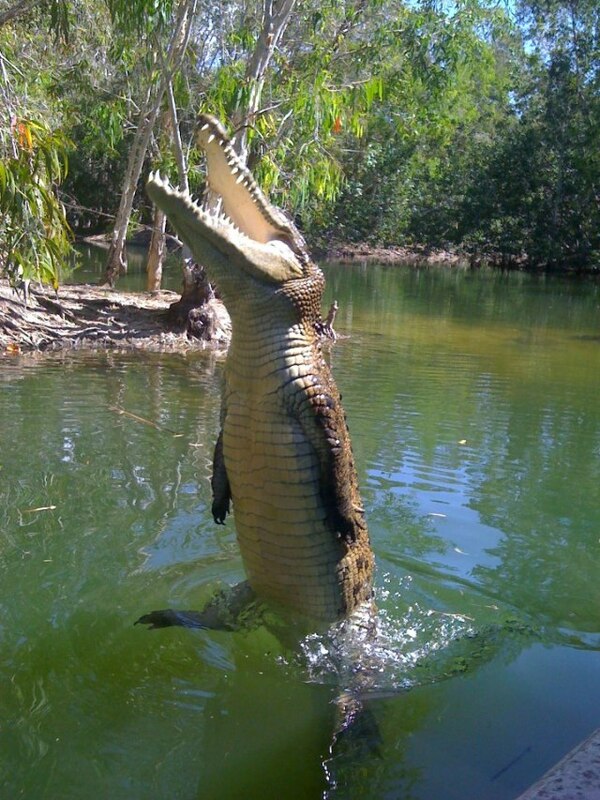 Estuarine Crocodiles bred on the premises are raised for their skins and meat. 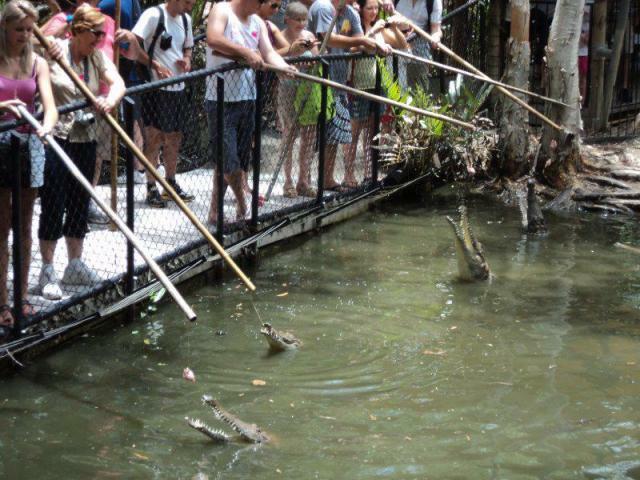 Gain an insight into the operation of our crocodile farm. 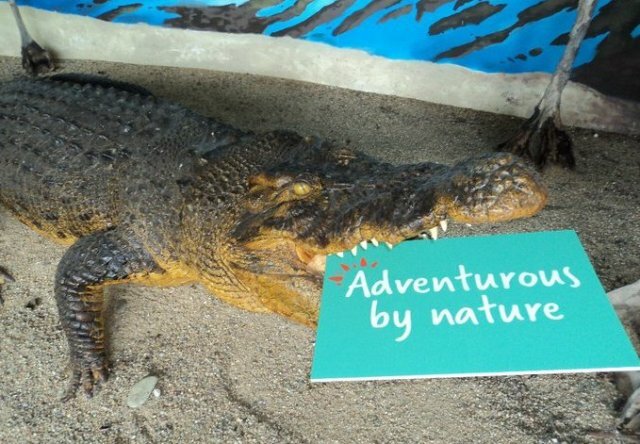 Learn how farming contributes to the conservation of wild crocodiles in their natural habitat. 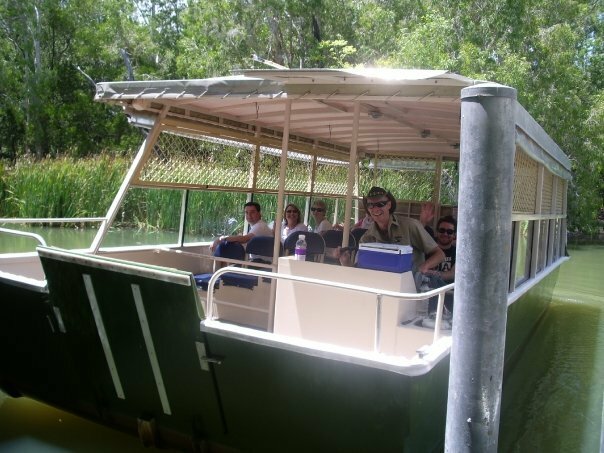 Cruise the still waters of Hartley's Lagoon and experience the domain of the Saltwater Crocodile in its natural habitat. Nineteen crocs ranging in size from 2.5m to 5m cruise the waters, laze on the bank or build nests, interacting with each other just as they would in the wild. Great opportunity for bird watchers to spot Kingfishers, Egrets etc. 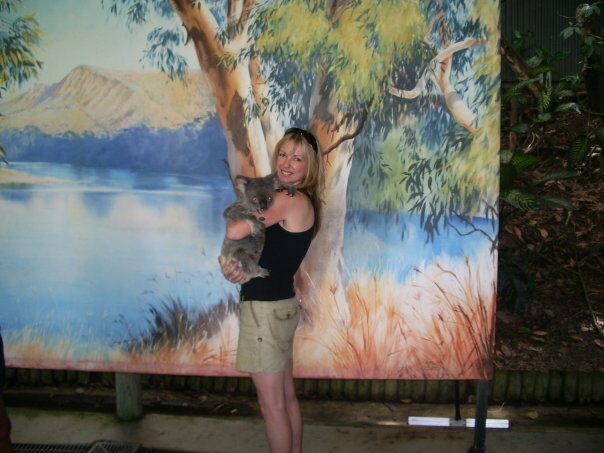 which choose to live around the lagoons. 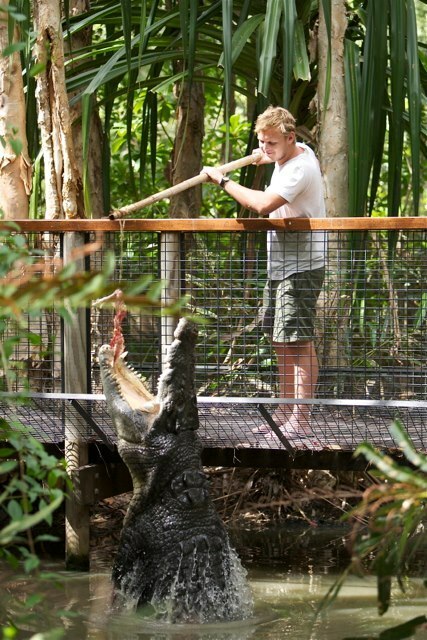 Breakfast with the Crocs: Includes general admission into the park, breakfast on the deck at Lilies restaurant. Served from 8.30am – 9.45am. 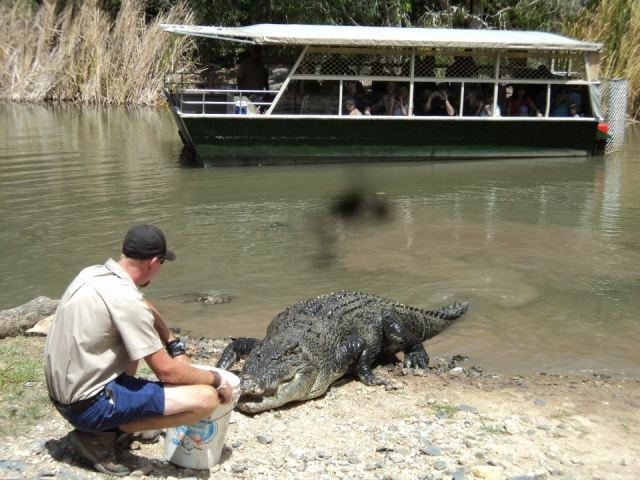 Big Croc Experience - POLE FEED A HUGE CROC YOURSELF! 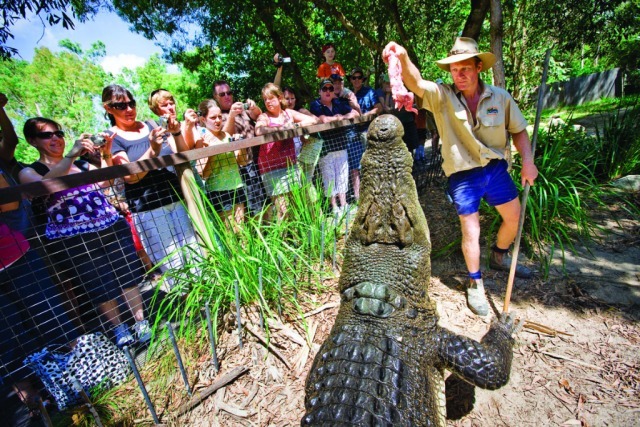 The Big Croc Experience is available 7 days at 10.30am or 1.00pm, and is limited to a maximum of 6 adults. 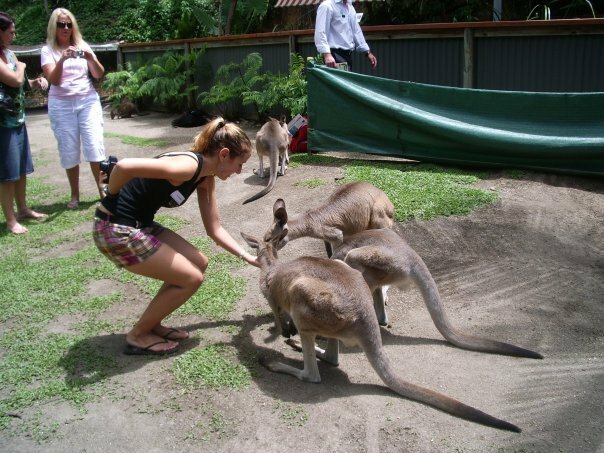 Lilies Restaurant specialises in regional delicacies including crocodile meat and is ideally situated overlooking Hartley's Lagoon. Open from 10:30am - 3pm. 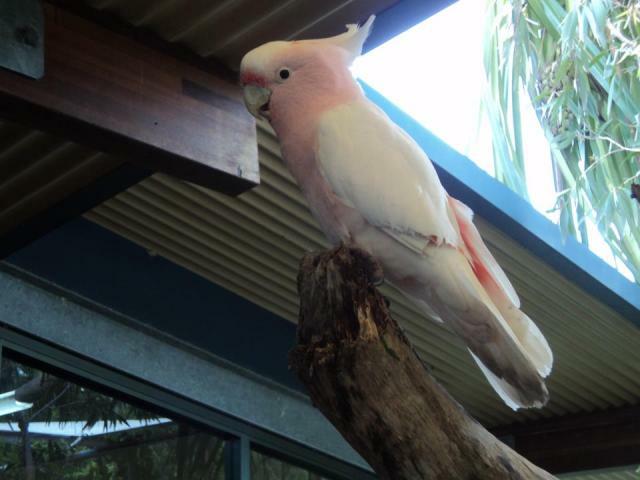 Located on the Captain Cook Highway, 40 km north of Cairns and 25 km south of Port Douglas. Drive your own vehicle or hire a car and experience the scenic coastal road at your leisure. 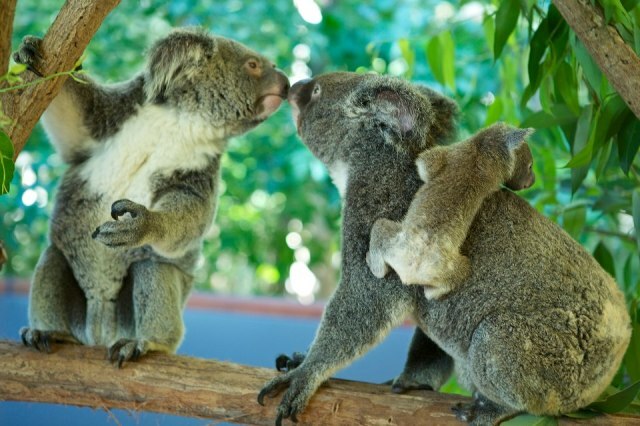 Self-drive admission tickets are valid for 3 days from the date of purchase (conditions apply). They are strictly non-transferrable and proof of ID for re-entry is essential. 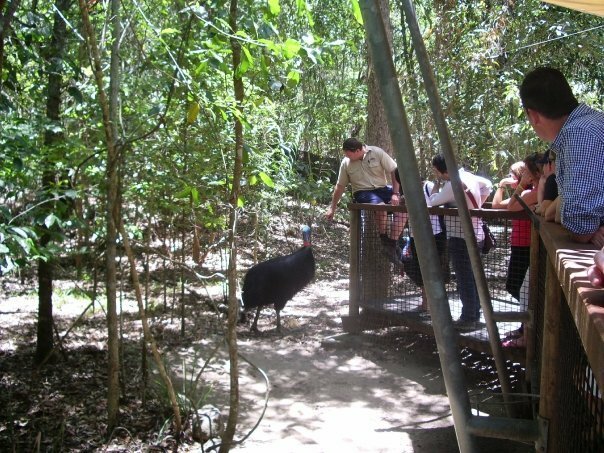 Daily departures are available from hotel accommodation in Cairns and Northern Beaches (Trinity Beach, Palm Cove), Port Douglas. Sensible walking shoes, a wide-brimmed hat and sunscreen. Cool drinks. When it's hot or very humid you may need to drink up to 3 litres of water per day. Chilled water, soft drinks and snacks are available from Lilies Restaurant. 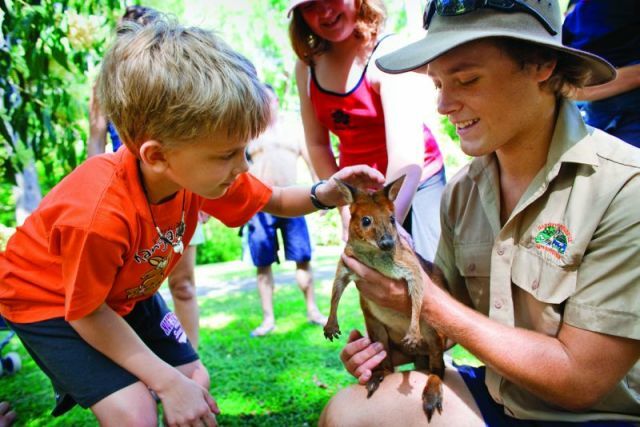 The best place to see crocodiles and native wildlife in Tropical North Queensland. 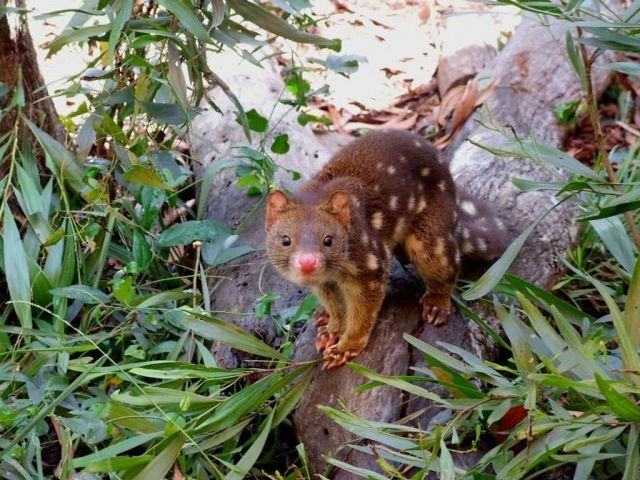 Set in the foothills of the MacAlister Range, in a World Heritage listed area, Hartley’s Crocodile Adventures is home to a range of habitat types including melaleuca wetlands, riverine rainforest and eucalypt woodland. Enjoyed the experience very much. Will recommend it to fellow travellers.